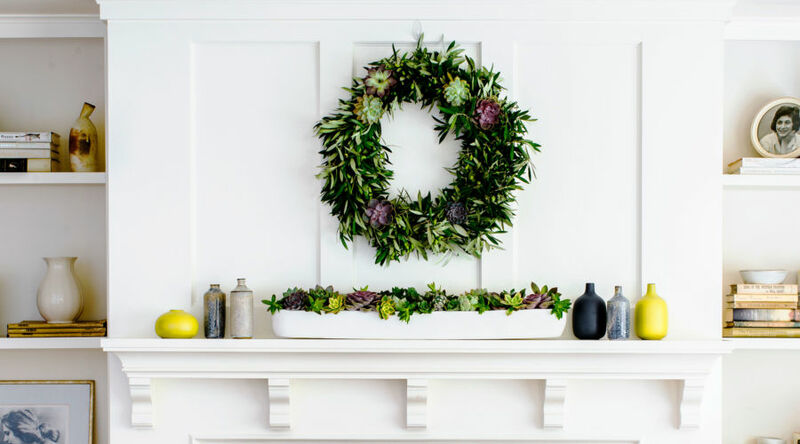 We adore an evergreen wreath as much as the next reveler, but this year, consider an on-trend upgrade by making one out of succulents. It’s as easy as tucking them into an olive leaf wreath, available at craft stores. Lining your windows in holiday lights can start to feel a little tired—especially when everyone on the block is doing it. Get creative with your “exterior illumination,” as Clark W. Griswold would put it, by placing lights on other eye-catchers as well. For example, these globes, made from former wine barrel hoops. If stopping by the woods on a snowy evening is impossible for you, create your own Robert Frost-worthy scene on a tabletop. 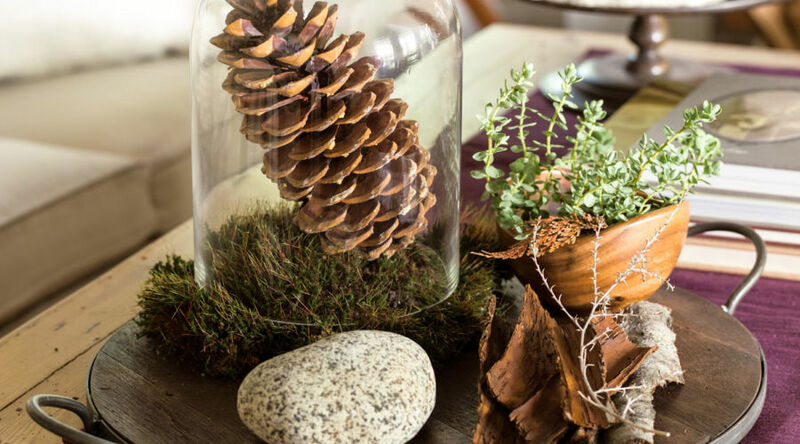 This curated winter arrangement turns all the fruits of the forest into a delight for the eyes. 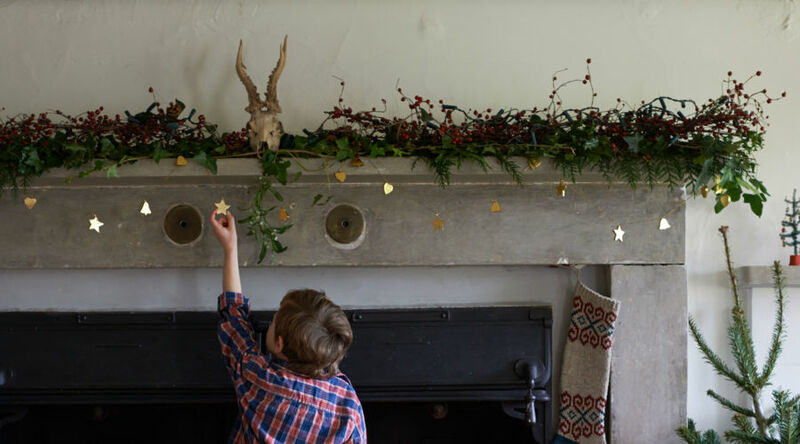 Before you string popcorn for hours, consider a glimmery alternative: gold star garlands. Available online and at party stores, they impart a festive sparkle that can easily be re-used again and again (and even trudged out at birthday parties). 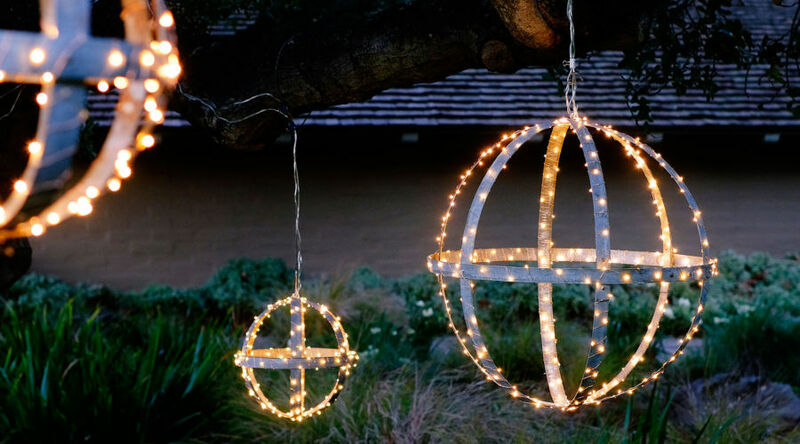 To set a playful tone to usher in the season, place party-ready glowing balls—available online—on your lawn. 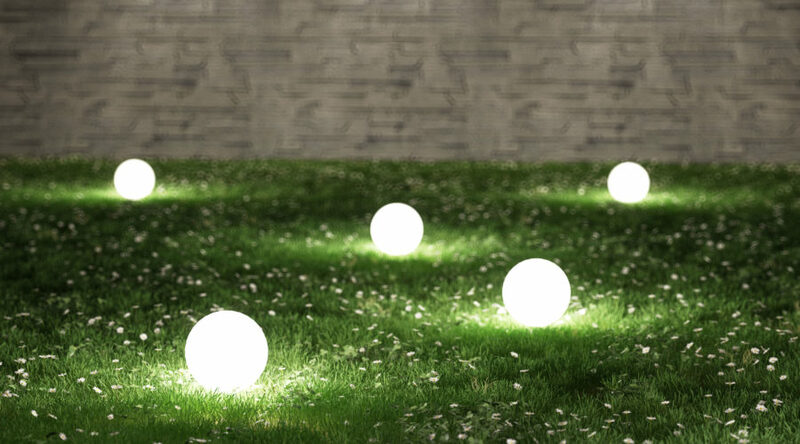 They look like mini moons and cast their surroundings in transcendant white light, perfect for winter. You don’t want to appear Scrooge-like, do you? 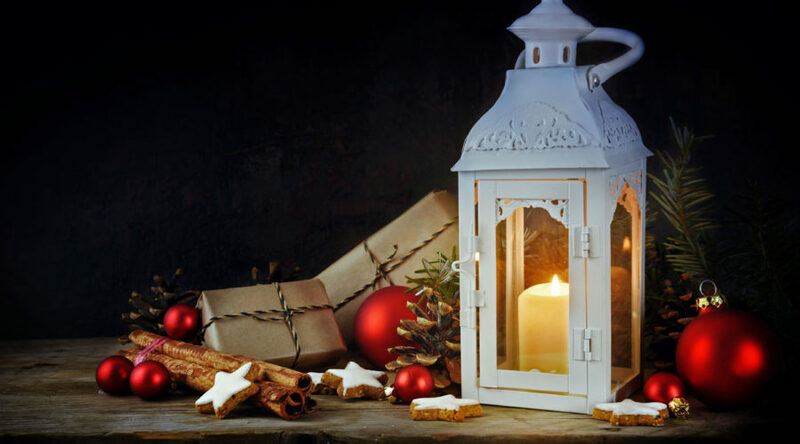 Invest in some glass lanterns for a Dickensian look--they'll simultaneously cast a fairy-tale glow wherever they’re placed. The scents of fraser fir and balsam cannot be replicated—not by any candle maker, no matter how hard they try. So dot your home with branch cuttings by piling greenery on tabletops, bookshelves, and even sculptures for herbaceous freshness you can inhale at every turn. 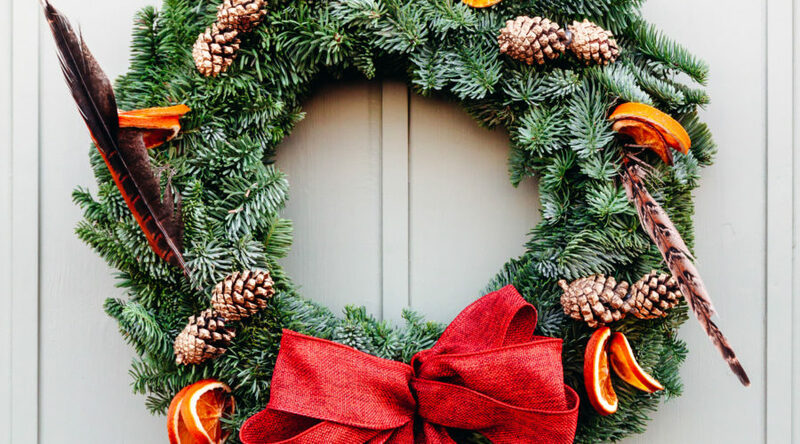 Update a traditional evergreen wreath for your door with fallen feathers (or ones you procure on a craft-store run), perhaps the easiest DIY project imaginable. The look is anything but ordinary, and boosts your style cred to angelic heights. If your go-to autumn drink is a PSL, we have a PSA: You want to make DIY cloved oranges, or pomander balls, ASAP. 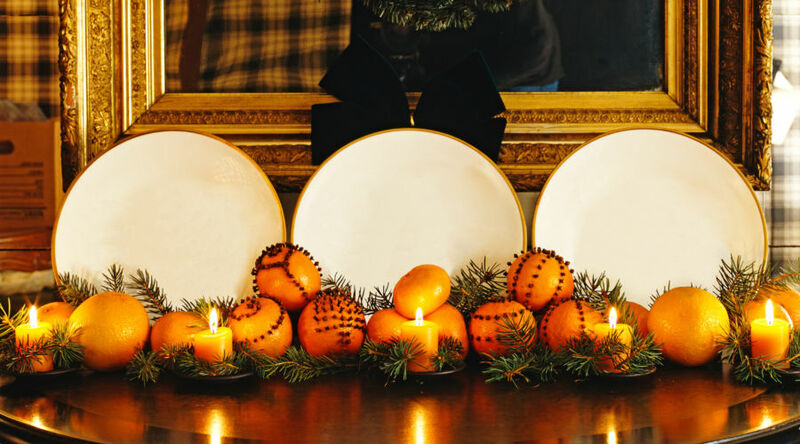 It’s the simplest way to transform your home into a fragrant holiday wonderland (and, once you push cloves decoratively into the rinds, they’ll last for weeks). No room (or time) for a full-blown tree? Fret not. 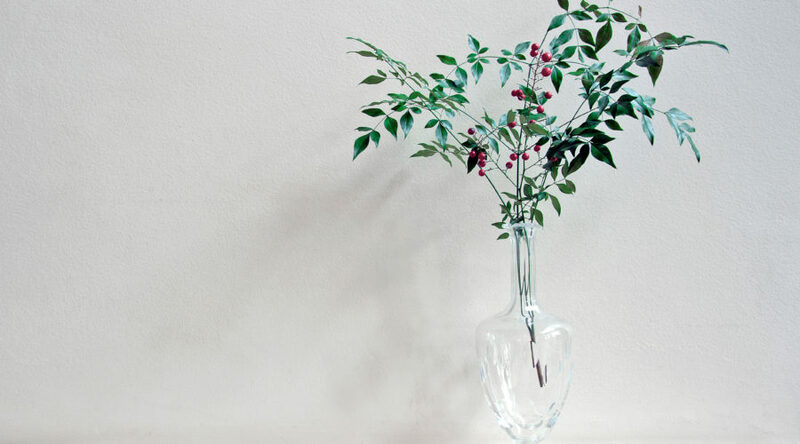 You can get a festive look that’s totally of-the-moment with something as simple as a lone berry branch. 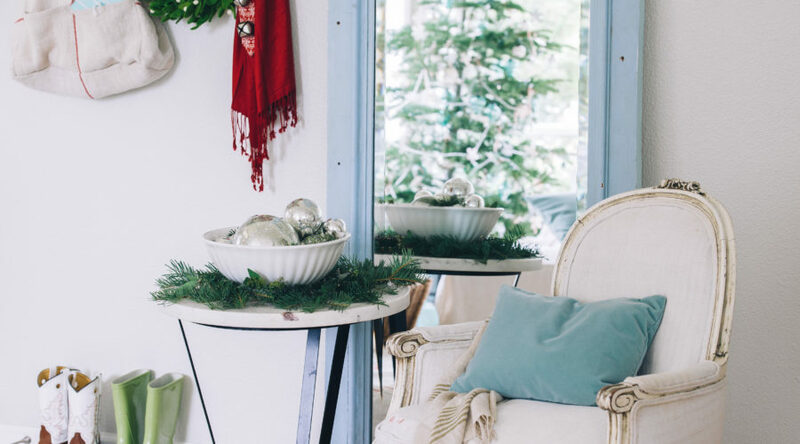 It’s modern, minimal, and totally chic—and yet it still says, 'Tis the season.